This Friday – Sunday Only! 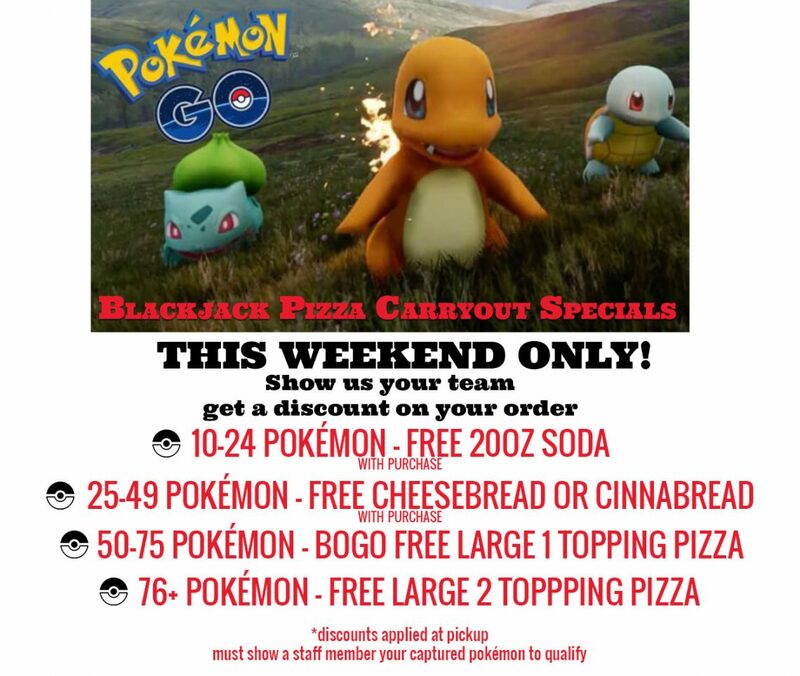 Come into Blackjack Pizza while you’re out hunting Pokémon and order some much needed pizza. When you show us your Pokémon team you get a discount on your order! The more you catch the bigger the discount! The rules are simple, if you play Pokémon Go™ you are eligible for a discount on your pizza order. You only need to have 10 Pokemon on your team for the pizza discount. You must order carryout and be prepared to show your team to a staff member to receive your discount. **We reserve the right to cancel or alter this promotion at anytime.